We just finished this remodel this month! 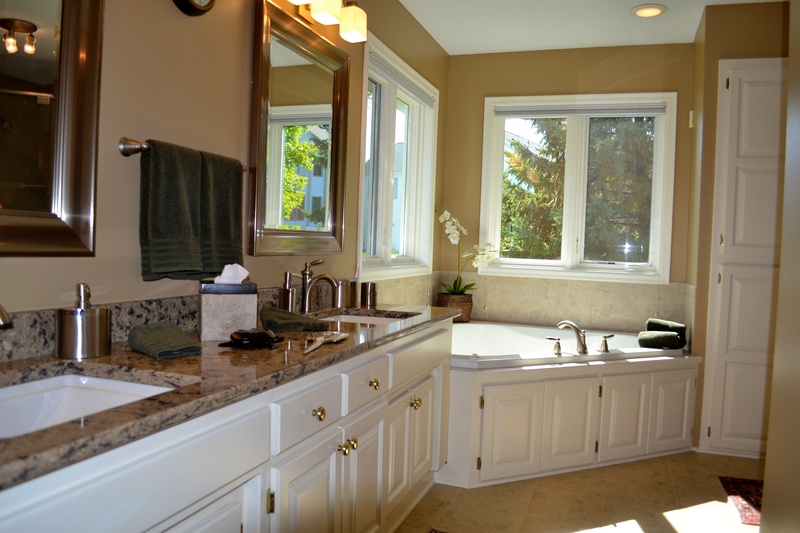 Many homeowners are turning their remodeled bathrooms into a getaway space. They want an escape within the home and are allocating additional square footage to their bathroom layouts. To get the full spa effect, homeowners are investing in spa tubs and shower designs with specialty heads and faucets like body sprayers and rain shower heads. Nothing takes the edge off of a cold Minnesota winter like stepping out of the morning shower onto a comfortable and warm bathroom floor. Radiant floor heat is a popular way to increase the comfort of a bathroom and is becoming more affordable than ever. 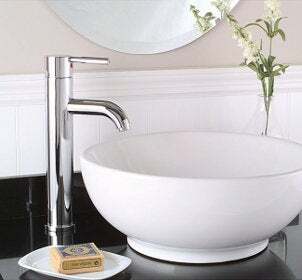 Even though under mount sinks still dominate, vessel sinks are becoming popular in the more transitional and contemporary homes. This sink looks like the basin is sitting on top of the counter top. It’s a great way to get a modern look. Natural stone flooring is a beautiful and natural way to add a touch of elegance to your bathroom. Stone floors are known to be slippery, but there are installation techniques that fix this problem.